We recommend it to the value purchase player and/or the elite hitter who wants a traditional stiff feel with a slightly heavier swinging bat. After hours in the cage and a few games with a few different hitters we put together our 2018 Rawlings 5150 Review. We aren’t the only ones to have information about the 5150. Other places, in particular those who sell bats, usually have a boiler plate write up on the specs of a bat. Many of those we reference to make sure we are seeing what we should be. Here are some more references for the 2018 Rawlings 5150 review. Here are some bullet points describing who may or may not like the Rawlings 5150. In short, if you like the swing of the Rawlings VELO but wish your drives had a little more power than the 5150 could be your bat. The 5150 is made for good hitters that like a stiff feeling bat with at least a little bit of girth. Although it may ring your hands on mishits occasionally, expect for a better feel than a VELO on a mishit as the added swing weight helps compensate for vibration. The 2018 Rawlings 5150 is a favorite in some USA Bat Circles. Not a single person is flat raving about the bat’s performance. But, they are claiming the 5150 is a legit, inexpensive option when compared to many bats on the market. The general claim is the 5150 USA Bat is a great wait and see option. That is, they claim, let’s buy the 5150 as a cheaper performance bat and then wait and see more feedback from the other more expensive USA Bats. If any of those other bats get phenomenal feedback then, maybe, upgrade that direction. In the mean time, let’s stay with the 5150 USA and several more dollars in our pocket. Who Should Buy: Prefers Single Piece Bats; Likes Hot out of the Wrapper Bats; Likes a little more weight in the end cap when compared to the “balanced” bats of today; Is looking for a value purchase. Who Should Keep Looking: Likes the feel of two piece bats; Wants an ultra balanced or end loaded bat; Prefers a composite barrel. 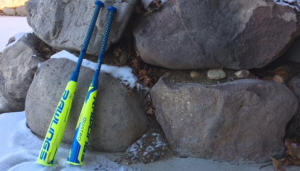 Aside from the paint job, there are no differences between the 2017 and 2018 Rawlings 5150. Although no changes in construction, there are differences in sizing options. In particular, the addition of the USAbat model is significant. We discuss those under the sizing section of this article. There are a lot of single piece aluminum bats on the market. None, however, use the POP 2.0 tech that adds a laser groove on the inner barrel. Our USA Bat 5150 Rawlings review included 6 players ranging in age from 9 to 13 swinging the bat in cage. We measured exit speeds and barrel sizes of the 5150 USA Rawlings as well as received qualitative feedback from each hitter. It was not the most loved bat in terms of feel, look or overall performance, but the bat’s low price point AND the drop 11 (a nearly novelty in the 2018 USA Bat space) made it highly recommendable for some. We dive deeper in this 2018 Rawlings 5150 USA Bat Review. As well, those in the budget space should consider the 5150 in a drop 11 since, it turns out, the 5150 in a drop 11 is about the only one you can find under $100. 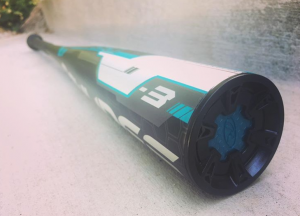 The drop 10 world gives you bats like the 518 from Slugger as well as a few other low priced options you should also consider. The impression that USA Bat standards dampen performance so dramatically that virtually any USA Bat performs like any other. The idea that knowing what is the best USA Bat for the money is an impossible task at the moment. Only more data will let us know what is and is not worth the money we spend. Both reasoning have merit and, if you are in the market for 2018 USA Bats, we see no reason this won’t work for some. Our experience with more expensive USA Bats has given us a great feel for what is out there. In terms of top end performance and feel we think there are better bats than the 5150 USA Bat. To name, one, the Rawlings Quatro. We like that bat’s balance, barrel profile and feel much more than the 5150 USA Bat. However, the Quatro is a considerably more expensive. If you want to stay within the same budget we think Slugger’s 518 Omaha is a legit low price point option in the USA Bat space. It has a bigger barrel profile than the 5150 and we specifically like the slightly tapered grip. However, the 518 comes in a drop 10 while the 5150 comes in a drop 11 and drop 10. A Drop 11 USA Bat Battle. One reasons we also suspect the 5150 USA bat is doing so well is because the 618 Drop 11 Slugger USA Bat cannot stay in stock. People who can’t find the 618 move to the other drop 11 in the space: the 5150 USA. The fact it runs less expensive than the 618 is bonus. We don’t like the 5150 as much as we like the 618 Solo in terms of overall feel and swing weight. But, we also like to save money and the 618 will cost you more. In our Rawlings Prodigy USA Bat review we discuss the main differences between this cheaper bat than the 5150. The prodigy only comes in the drop 11 and uses an older alloy when compared to the 5150. In terms of performance the new player likely won’t notice any difference in the two bats. If you can spend the extra $20 on the 5150 we suggest to get it. But, for many new players, the prodigy will work just fine. As we write about in our 2018 Rawlings 5150 Review (which covers the BBCOR and USSSA options), the 5150 is a single piece of aluminum with a middle of the road swing weight. The Barrel profile is average for its class but the price point is attractive. Rawlings has made single piece aluminum bats for a long time. And, aside from the VELO, the Rawlings is the epitome of their creations. Durability is rarely a concern with aluminum bats because they dent instead of breaking. And, turns out, dented bats are still usable. We have created some small dents in our 5150’s (as well as other aluminum bats) but it does not appear to impact exit speeds or overall feel and performance. What may be most attractive about the Rawlings 5150 is the use of a drop 11 and a drop 10 in the USA Bat space. Compared to the drop 11, the drop 10 USA Bat swings about 10% heavier. The Drop 10 gets better reviews than the drop 11 but, for the right player, the drop 11 is the perfect option. The 5150 uses a single piece of aluminum to create a stiff feeling and slightly end-loaded swing. Although most vendors consider this in the “balanced” section, as it is, one should not confuse it with the light swing of a Rawlings VELO or DeMarini CF Zen, for example. The 5150 swings markedly heavier than those bats but not quite as heavy as bats like the Easton Z-Core XL or Louisville Slugger 718 Select. What makes the 5150 unique, and helps drive the well sized barrel, is the use of a tapered inner barrel. That is, if you were to cut the barrel in half you’d see the bat used different levels of thickness along the barrel wall. This variable wall thickness is tuned to deliver high performance off the center of the barrel, decrease mass and allow for a larger barrel without sacrificing swing speed. Additionally, as was new to the 2017 Rawlings 5150, ​Rawlings created a laser groove down the horizontal portion of the inner barrel. This groove further reduces swing weight without sacrificing durability. And, as such, allows for a more dialed in swing weight with an even larger barrel still. Expect at least three different sizes on the 2018 Rawlings 5150. The most remarkable change in sizing is the addition of a USAbat.